I got fed up with continously charging NiMH batteries on HobbyKing's HK6S transmitter. Just substituting a 3S LiPO pack is not recommended, since the low voltage alarm triggers at 8.3V which gives warning voltage of 2,8V/cell. 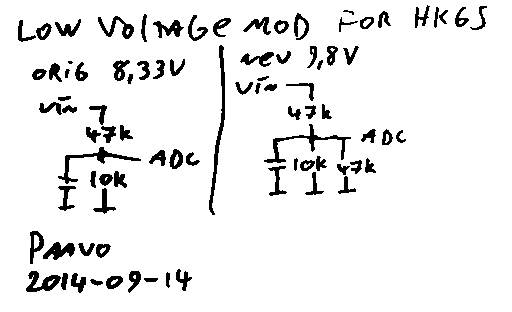 Pin 21 of MCU receives divided supply voltage. Divider consists of 47k and 10k resistors. On my transmitter low voltage alarm triggered at 8.33V and rearmed itself at 8.60V. 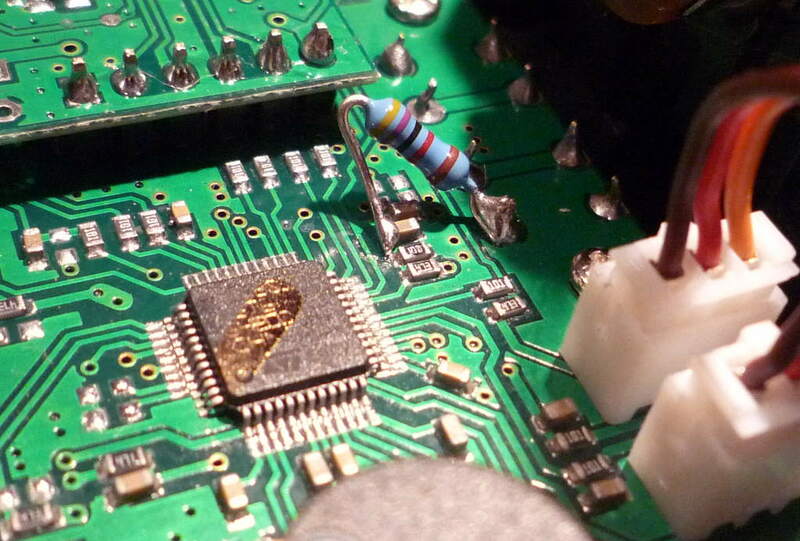 Adding a 47k resistor in parallel of lower 10k resistor changes trigger trigger point to 9.8V. Location of divider and suggested place to solder new resistor. Depending on new battery connector it might be necessary to thread the cable thru the opening on the bottom of battery compartment. Transmitter consumes approximately 130mA during use. The first component after power switch is a 7805-linear regulator. Replacing the regulator with a switcher gives additional runtime. Tracopower's TSR 0.5-2450 switcher should be suitable. 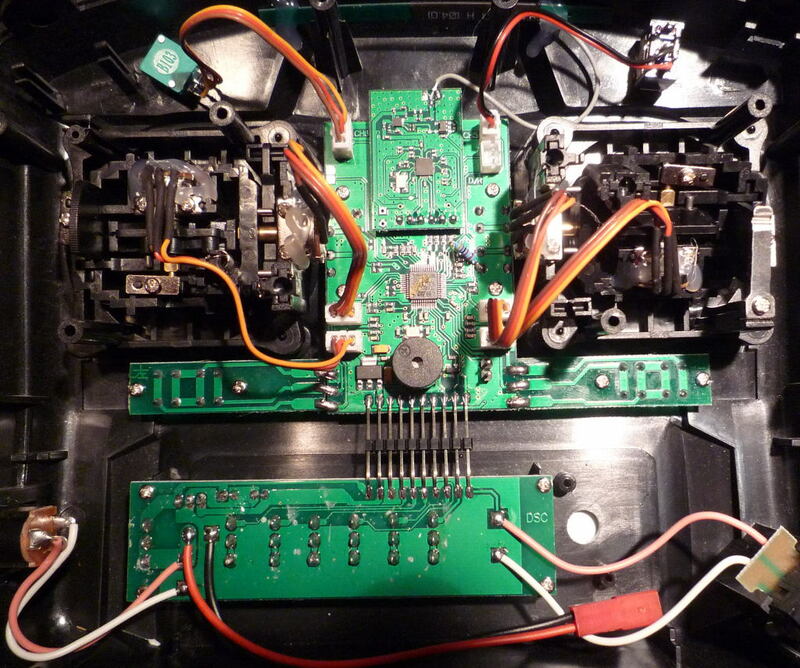 It might be also possible to replace the second regulator (AMS1117-3.3) on the main PCB with a switcher. 5V is propably used also for driving the beeper.